Strength and Conditioning (S&C) classes are open to all ages, as long as each person can participate safely. Iaido class is the 2nd and 4th Monday of every month. While our Open classes are open to all ages, youth members must have permission from Sensei to attend those classes. Do not expect for youth members to be able to attend the Open classes regularly. Our Test Preparation Seminar is open to all ages. The Saturday and Sunday classes usually happen, but be sure to call or email us before you visit to make sure that we’re having class then. The dojo is closed on federal holidays. Aiki Tots class is for ages 3-5+. Parents and older siblings are welcome in Aiki Tots class. The Aiki Tots begins again November 7, 2018. 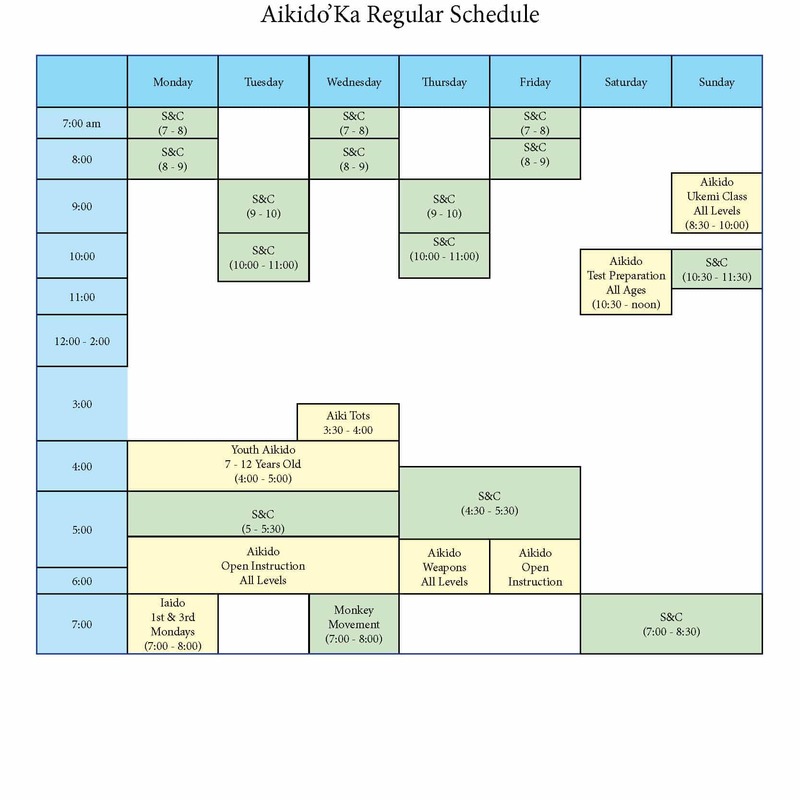 The 30-Day Free Membership does not apply to the Aiki Tots class.